1920 London is an upcoming Indian horror film directed by Tinu Suresh Desai. It will be the third in the successful 1920 horror franchise,after 1920 and 1920: The Evil Returns. 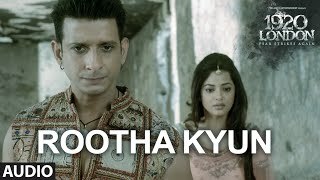 The film stars Sharman Joshi, Meera Chopra and Vishal Karwal in lead roles. The film will release worldwide on 6 May 2016. The trailer of the film was released on 4 April 2016.